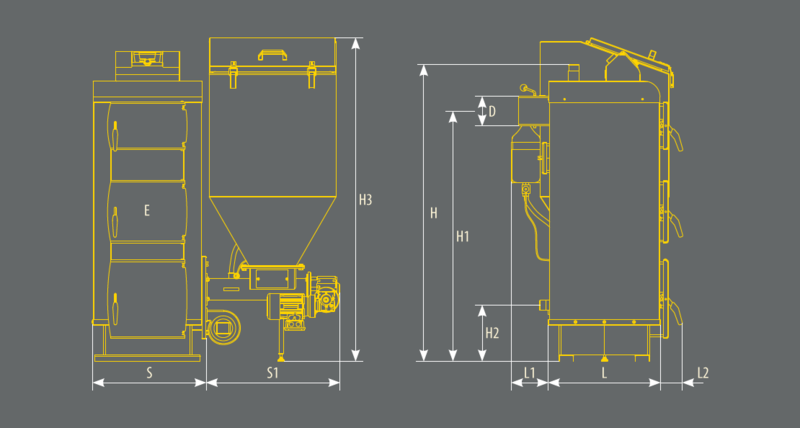 KSP Duo can be used with five solid fuels: eco-pea coal, pellet, fine coal, oats and brown coal. Its optimized combustion process is ensured by innovative PSQ burner . is installed inside the chamber, which can be used for combustion of a hard coal, wood, edgings and briquette. 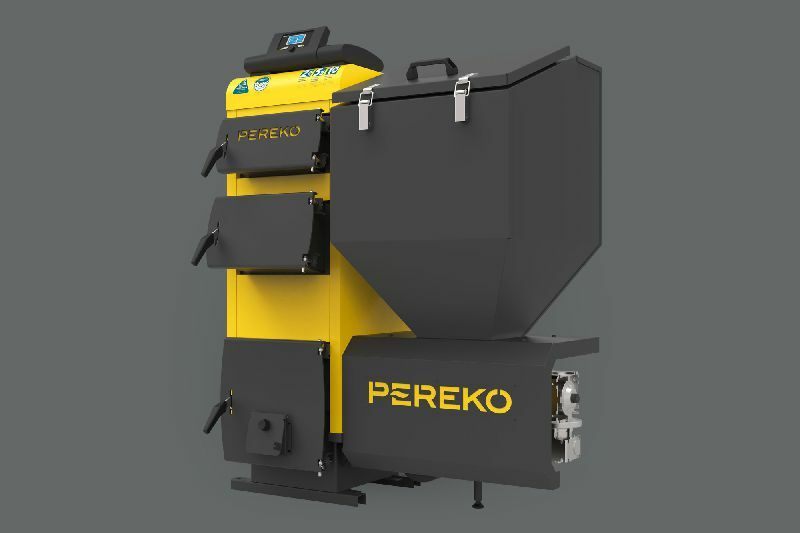 It has the fourth class of emission for combustion of solid fuels that is pellet and certificate for ecological safety mark (so-called “green apple”). KSP Duo is equipped with a new, multifunctional and simple ecoMAX 910 controller , which works with the outside sensor and room thermostat ecoSTER. The standard equipment of the controller includes 5 pumps: (central heating, domestic hot water, circulation pump, transfer pump and pump of the mixer) and two actuators of the mixing valves. Wide operation range of the controller allows setting various levels of the temperature in separate heating systems. For example: in floor heating and room heaters system. The ecoMAX 910 controller is equipped with a convenient graphical display and several options for additional equipment. The most important is regulator pokojowy ecoSTER TOUCH and internet module ecoNET 300, which are used for remote preview, change of parameters and even technical support. Operational safety and protection of the device itself are ensured by a series of protections. Automatic fire suppression system, the so-called fire-fighter, is a basic equipment of the boiler. The sensors continuously control the temperature of water in the boiler, temperature of screw and fuel container. If the irregularities or damage of any of the sensors in the system is detected then the system gives an alarm signal and shuts down the feeder and fan. Jamming of the screw in the feeder results in mechanical rupture of split pin what protects the motoreducer against destruction. Another protection in KSP Duo is a sensor protecting against retraction of glow to the feeder and flame suppression system when feeder pipe reaches a temperature of 90°C. Fine coal has similar properties to the hard coal but its price is considerably lower. It has a form of fine granules, which can be used as an additive to the other solid fuel or independently. Pellet is a compressed biomass formed from the wood waste. It is produced in form of granules having the length of several centimetres. It has high calorific value and low moisture content. It does not leave dirt, has a pleasant smell, is easy to transport and store. Oats combust easily due to the content of shell and oil and high calorific value. It can be easily stored and transported. Combustion is not harmful to the environment because hazardous greenhouse gases are not emitted. 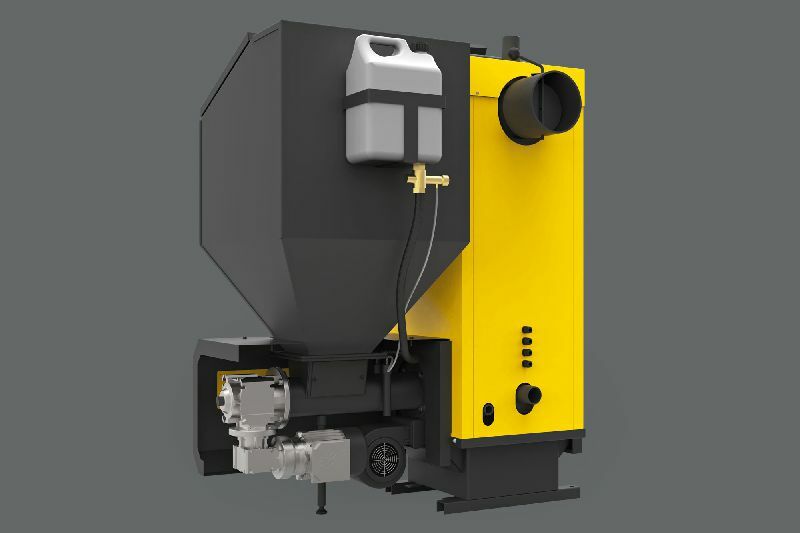 Combustion results in low amounts of ash – it can be used as a fertiliser. 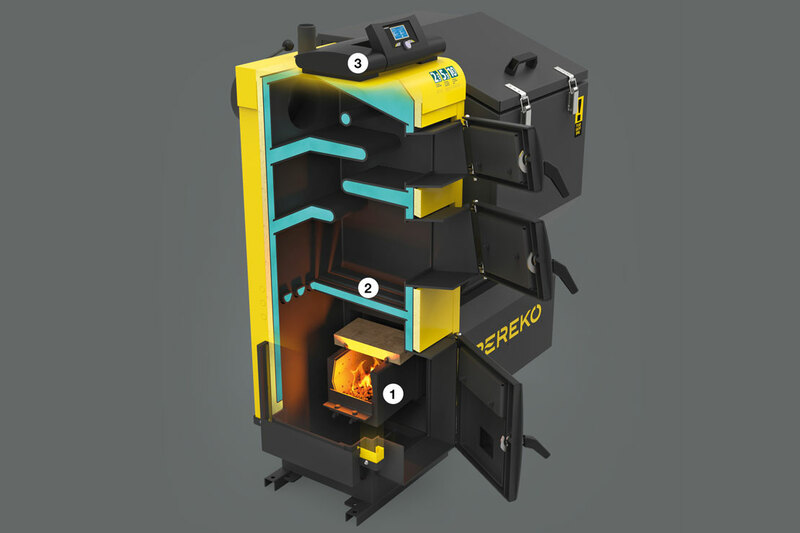 Water-cooled grate allows occasional combustion of fuels of higher size grate without reducing the efficiency of the boiler. Additional protection protecting against overheating and possible flashback to the charging hopper. 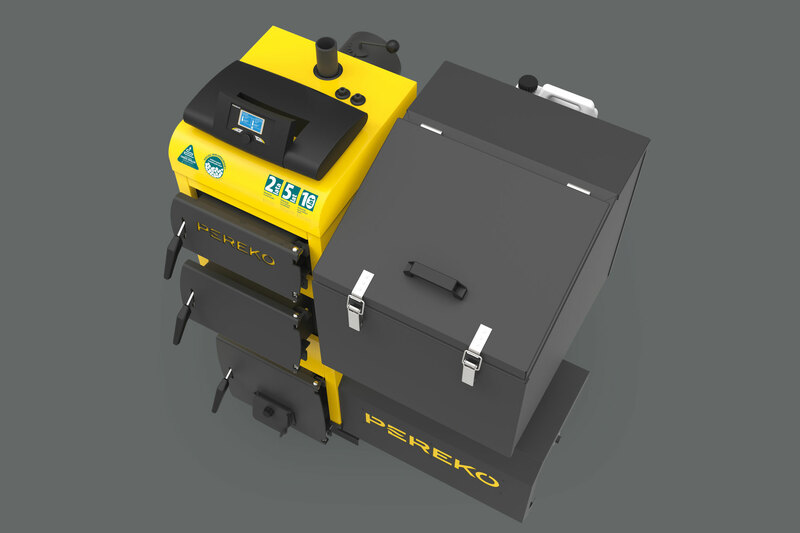 Steel burner PSQ with a trough feeder has an innovative design allowing using up to four types of solid fuel types.